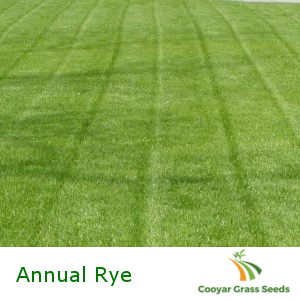 Rye grass is one of the most common grasses around the world. This is due to its very quick germination and resilience in heavy traffic areas. The downside is the plant doesn’t do well in the heat and requires continuous irrigation. Annual Rye grass exhibits the most significant winter growth potential of all Rye grasses. It is therefore not surprising it is most commonly used during the colder months of the year as an alternative to heat dependent grasses such as couch. Package Contents: 100% Annual Rye Grass. Establishment: Conditions permitting, 7 days. Sowing Rate: 3kg – 4kg per 100 sq meters. Areas: South Queensland, NSW, VIC, SA, ACT and TAS.